Browse this wide selection of containers suitable for packaging a variety of food products. These containers are available in a range of shapes, sizes and materials for your packaging needs. 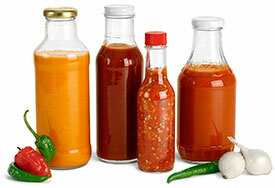 Safely store jam, sauce, honey, spices, vinegar, vegetables and much more in these food containers. Browse this wide selection of plastic bottles, glass bottles, and tins that are suitable for packaging a variety of spices and herbs. 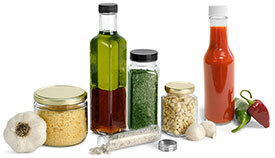 These spice containers are available in a range of shapes, sizes and materials for your packaging needs. These metal containers are offered in a variety of shapes and sizes and could be perfect for packaging a variety of foods! 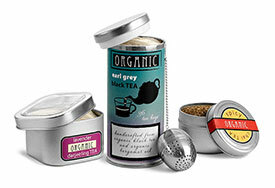 Try using these metal tins to package teas, spices, candies and more! These plastic containers may be perfect for packaging a variety of foods! 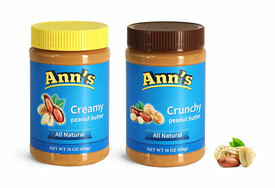 Try using these plastic jars and bottles to store nut butters, beverages, sauces, salad dressings, snacks and more!